The division bench of Gauahti High Court has issued notice to Government of Assam, DGP Assam, DFO NC Hills, SP Dima Hasao, OC Haflong Police Station, CBI, Enforcement Directorate and four other private individuals in a Public Interest Litigation filed by one social activist Mr. Jitul Deka alleging massive corruption in the district of Dima Hasao in respect of allotment of the stone mahal for operation. 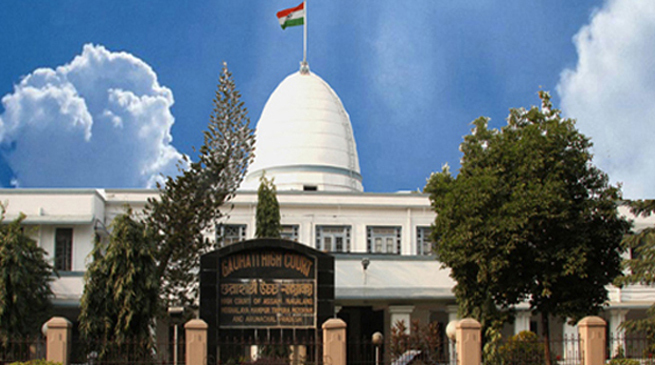 In the said PIL it is alleged that the North Cachar Hills Autonomous Council, more particularly, the Chief Executive Member of the Council as per his whims and fancies allots the mahals to such persons with whom he has clear nexus without even issuing any advertisement or resorting to the procedure of auction or tender which is out and out illegal, arbitrary and liable to be interfered with. Furthermore, the mahals are being allotted secretly in a throwaway price to such persons with ulterior motive of some illegal gain whereas the mahaldars who are in operation of such mahals are making sky-scraping profits out of it. The authorities without considering the welfare of the public at large, leaving the employees of the council without their due salaries, with focus on only their own interest, has settled the mahals at a price much lesser than the full value of the asset causing immense loss to the State, more particularly, to the “the People”, who is designated as the owner of the natural resources. In the said PIL it is stated that Mr. Depolal Hojai as the Chief Executive Member, the entire stone and boulders of the district of Dima Hasao was given for operation to one Mr. Pabitra Nunisa, who was his close associate at a throwaway price of Rs. 1,00,00,000/- per year for period from 31.05.2008 to 30.05.2013. While allotting the stone mahal to Mr. Pabitra Nunisa, the then Chief Executive Member did not call for any tender or resorted to auction and as per his whims and fancies, allotted the mahal to his close associate. It is a matter of great distress that Mr. Pabitra Nunisa, who was an Auto driver while he was allotted the stone mahal for operation is now a multi millionaire who owns a commercial complex in Noida and possess foreign cars etc within a 3 years of operation of the mahal and this facts clearly shows the profit he made out of this stone mahal. While Mr. Pabitra Nunisa was operating the said mahal, the term of Mr. Depolal Hojai as the Chief Executive Member has expired and as such, one Mr. Debojit Thaosen was elected as the Chief Executive Member of the council. Mr. Debojit Thaosen, immediately after joining as the Chief Executive Member, following the footsteps of his predecessor, cancelled the earlier contract whereby Mr. Pabitra Nunisa was given the stone mahal for operation and the same was allotted to one Mr. Abhijit Nunisa without following any procedure as per the mandate of law at again a very nominal price of Rs. 1,50,00,000/- per year for a period of 10 years w.e.f. 15.07.2011. Presently, the entire stone and boulder mahals in the district of Dima Hasao is being controlled by Mr. Charanjit Singh Gandhi, who is doing so in the name of Mr. Abhijit Nunisa. After seeing such anomalies, on 10.12.2015 filed an FIR before the Officer-in-Charge of the Haflong Police Station, Dima Hasao District, which has been registered as Haflong Police Case No. 92/2015 under section 409/ 418/ 420/ 468/ 120(B) of the Indian Penal Code read with section 13 of the Prevention of Corruption Act, 1988. Mr. Amit Goyal, advocate appearing for the Petitioner argued before the High Court that since highly influential persons are involved in this stone scam, the Chief Investigating Officer who is Superintendent of Police, Dima Hasao has been immediately transferred from Dima Hasao after registration of FIR . After hearing, a division bench of the Chief Justice(Acting) T. Vaiphai and Justice M. R. Pathak, directed the Government not to hamper the ongoing investigation and investigating team . Further the Court directed the Government to produce the status report in the next date of hearing.